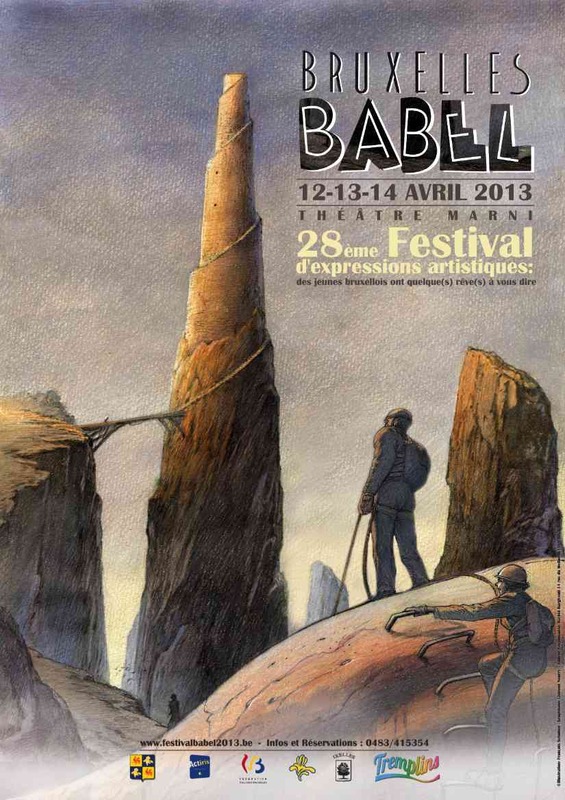 François Schuiten has made the announcement poster for the Festival Babel 2013 in Brussels. The festival will be held at 12, 13 and 14 April 2013. At April 12th, 2013 the L'Arche fresco by François Schuiten will be displayed at the Library Brüsel (Flagey). At April 14th, 2013 François Schuiten, Benoît Peeters and Bruno Letort will present their “Demain Les Portes du Possible”. See below the festival poster for more information.